A unique showcase for several meticulously preserved and flying World War II warbirds that changed the course of history, the Commemorative Air Force (CAF) Dixie Wing Historical Airpower Facility is much more than an aviation museum. CAF Dixie Wing, located on the grounds of the Atlanta Regional Airport’s Falcon Field in Peachtree City, Ga., is one of 55 CAF units throughout the U.S. 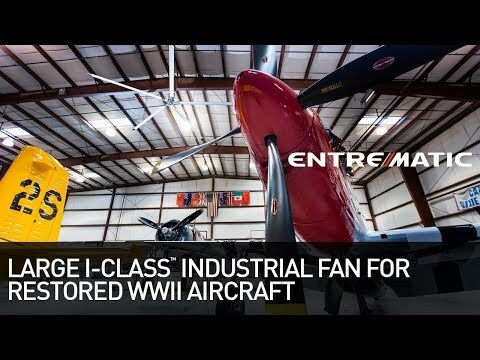 Honoring the veterans of World War II by preserving and maintaining a fleet of historical aircraft, as well as educating the public on the role each played to help win the war, is the CAF’s overall mission. Appropriately enough, CAF’s motto is “Keep ‘em Flying”. From a local community perspective, though, CAF Dixie Wing’s hangar facility takes its mission even further. The organization hosts several special events and other memorable gatherings each year; the largest of which includes the highly popular World War II Heritage Days, complete with a World War II-theme dance and big band. That event alone generates up to $6,000 which is accounts for 20 percent of the CAF Dixie Wing’s approximately $30,000 in annual revenue raised from facility rentals. Other gatherings at CAF Dixie Wing’s 12,000-square foot, 400-plus person capacity hangar include retirement parties for airline pilots, aviation-theme weddings, corporate events and even memorial services for those who served in the military or who had careers in aviation. Attendees at such events are surrounded by the CAF Dixie Wing’s collection of seven restored and fully operational aircraft, among which are a North American P-51 Mustang, an FG-1D Corsair as well as a replica Nakajima B5N “Kate” torpedo bomber that was used in the famous World War II movies, “Tora! Tora! Tora!” and “Midway”. Generate a high volume of air movement to ensure the comfort of aviation museum patrons during hot weather, keep aircraft mechanics warm in the winter and save on heating energy costs. An Entrematic I-Class™ 24-foot diameter industrial HVLS (high volume low speed) fan operated via Entrematic's digital touch-screen remote. More enjoyable environment for museum patrons and event attendees, warmer conditions for aircraft mechanics during cold weather and more than a 20% decrease gas heating costs. Combs explained that a previous Wing Leader took command of the situation. He contacted ASSA ABLOY Entrance Systems, which had provided CAF Dixie Wing with its Megadoor hangar door, and the company recommended Entrematic. The solution for keeping everyone comfortable at CAF Dixie Wing – especially during the area’s hot and humid weather – is one centrally mounted Entrematic I-Class™ 24-foot diameter industrial HVLS (high volume low speed) fan. Operated via Entrematic’s digital touch-screen remote control pad, the fan was installed in late spring 2017. “The fan has really kicked our comfort level up considerably,” Combs continued. “The fan keeps mechanics happy so that they’re more comfortable and productive when working on the planes.” He also stressed that event attendees also have a very comfortable experience inside the hangar. “Word of mouth really spreads fast which ultimately encourages more groups to rent out the hangar knowing they’ll have a great experience, even though the weather might be hot outside,” Combs added. Combs further pointed out that temperatures inside the hangar when the doors are open and outside temperatures in the shade are very similar. However, “when the fan is running, the perceived level of comfort inside the hangar is felt immediately,” he emphasized. The Entrematic fan’s blades are positioned approximately 35 feet above the hangar floor with the fan hung about three feet below the hangar ceiling’s 38-foot peak. Combs stated that the fan covers the entire hangar floor area with ample air movement while operating at a middle speed selection. CAF Dixie Wing was still experiencing cooler weather when the fan was first installed, said Combs. With the fan running in reverse on the lowest speed setting, the museum was pleased with how effectively the fan pulled warm air generated by four gas radiant heaters down to floor level. Before the fan was installed, most of the heat was trapped near the ceiling. Watch the customer story video. Being an aircraft facility, CAF Dixie Wing’s hangar does contain a required fire suppression system. Combs pointed out that if the system is ever activated, the fan will automatically disable itself. “That’s a great feature, and if it wasn’t available, the fan would not have been approved for installation due to stringent fire regulations,” he added. Always looking to the future, Combs mentioned that CAF Dixie Wing is considering acquiring a Republic P-47 Thunderbolt fighter that’s nearly fully restored, but currently in storage in Dallas. CAF Dixie Wing has the opportunity to take on finishing the project, and as a result, will need additional hangar space. Right now, our only options are to expand our current hangar, or possibly lease or purchase additional hangar space on Falcon Field. “Whatever happens, we’ll require another HVLS fan to achieve the same comfort level as our current hangar and to help keep heating costs down. Entrematic will definitely be the first choice for our next fan,” Combs concluded. For more information about Entrematic’s I-Class industrial HVLS fan products and features, visit www.entrematicfans.com/industrial, or contact us at 866-696-2464. HAVE AN IDEA? WANT MORE INFORMATION?